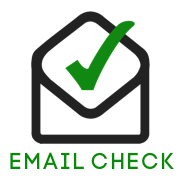 The Email Checker extension automatically checks if the e-mail address is real or not. The Extension works with standard Zoho CRM modules: Contacts and Leads. Zoho Email Checker extension verifies emails of new Leads and Leads created or modified today. The extension checks e-mail addresses of New Leads and Contacts, placed in fields “Email” and “Secondary Email”. The result of verification is displayed in the fields “Email Status” and “Secondary Email Status”. 2. Enable email verification – The extension works with standard ZohoCRM modules “Contacts” and “Leads”. 3. Check up to 1000 email/day – 50 emails for free extension, 1000 emails for paid extension. Fake - the address is not real or registered on the temporary email service. Unknown – you are out of checks limit. Daily checks limit – 10 emails for free extension, 1000 emails for paid extension. To restart the email verification, set the fields "Email Status" and "Secondary Email Status" in empty or “None” statuses. How can I obtain ZOHO API Token? Open https://accounts.zoho.com and make sure you are logged in. I created Contact(Lead). Why is emails status not changed for a long time? Status can be updated in period from 10 minutes up to 2 hours! Also, you may be already out of API calls limit of your Zoho CRM. Why is the contact status not updated after changing the e-mail address?